I got nominated by blamsart! Thank you so much for this, it makes me feel all fuzzy and loved inside :3 You’re so awesome! 1. Phyrcracker93 (Nate; my husband) The Lee Legacy – Of course I’d mention him first because I am very biased… Hehe. But no, in all seriousness, I think he is an amazing writer and has a mind filled with some really awesome stories. I love reading whatever he writes and I can not wait to see what else he has in store. 2. LilyShadowWriter Different Winters– Gosh, where do I even start with this girl? She’s amazing, her story is amazing and I find her so fun to talk to! I really suggest reading her DITFT. It’s super awesome! 3. umbramuse Bedlam Isbi– Oh my word, this girl is super funny! Although her isbi isn’t very far, it’s still super funny! I look forward to reading her chapters! If you love to laugh, I suggest you read this blog. 4. Legendofsim (the party sim) A Graying World– She’s a super sweet girl and an awesome friend. Although I haven’t read very far in her legacy, I have read and been a part of a lot of her tumblr stories. She’s super creative and has super awesome story ideas/challenges. Totally suggest checking her stuff out! 5. Hellohannah (Hannah) Dustland Fairytale– THIS story is amazing. There is so much thought, setup and creativity put into it. I absolutely love reading what she posts. I highly recommend that you go and check it out. Honestly. So awesome! 6. Missmiserie FISBI/Pokemon Rainbowcy – So. FUNNY. I have been following her for years from when she was doing “The Southern Prettacy”. I absolutely love everything she writes and think she is one of the funniest simmers I have ever encountered. Please read her stuff XD It’s so good. 7. Nightlockfallen Until My Color Fades Away – One of the best berry stories I have ever read. It’s full of drama, twist endings and very pull-you-in worthy reading material. The author is so sweet and such a treat to talk to. I highly recommend you read her story. It’s so good! 8. Autumnrein I Hope To Be Surrounded By Idiots (almost forgot – sorry! ;-;) – This chick is SO awesome! I love her writing to bits and I think she is super funny! She’s so far in her challenge, which I give her major props for! 😀 You’re awesome!! 1. Do you pull from your personal life experiences when writing out your story? 2. If you answered yes to #1 can you gives us an example? If you answered no this is the place to insert the funniest gif you have. An example would have to be when I wrote the chapter for Riley and Noah where Riley died. That day I was feeling really emotional for some reason ( I know something happened, I just can’t remember what) and I don’t know… I just feel like the emotion I was feeling came out into the chapter. Plus, I was crying a lot writing that chapter because I was so sad that Riley had died. 3. Who is your favorite among all the characters you have written? 4. Oh boy! You suddenly meet this character! What happens? 5. Sims 3 suddenly has a global malfunction and dies on every single computer and will never work again, would you still continue writing your story only without pictures? D: This is the saddest thing ever to think about!! My Sims! Uhm, if my readers wanted it, then sure. I would. 🙂 I don’t know when Rained will ever end XD I love writing it too much. It’s my baby. 6. Are you the type who can totally write your sims story with a bunch of people looking? Or do you need to wait for everyone to leave the room before you can get comfy and write your sims? I can write my story in a room full of people, as long as they’re not hovering over my shoulder and staring at me. Then I just get self conscious about my writing. 7. Do you own a cat? This is a serious question. I swear 90% of sims 3 writers own a cat. Uhm… noooo… ;P Technically I do. But he’s living with my parents. His name is Nova and he is 3 years old. 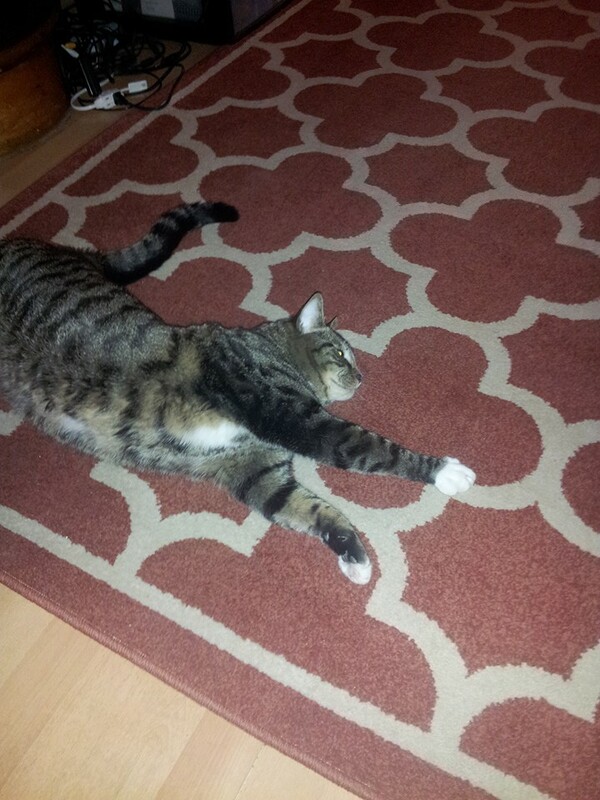 He’s a mostly black and white tabby. 8. Your thoughts on sims 4? You may cuss as much as you like. Haha! I just find it really boring and too cartoon-y. I play it randomly sometimes, but Sims 3 is much better in my opinion. 9. Are you planning on continuing with sims 3 once you’re done with your current story? 10. Favorite expansion? In amazing detail plz. My favorite has to be Night Life. I love all the add ons in put into the game. Bridgeport is just so cool because of the city life and sky scrapers. Plus… Club dancing. Hands down, the best dance ever. 11. Last question! How would you like living in the sims world and being a sim yourself? 1. If you could restart one generation or a couples chapters from your story; would you? 2. If you were allowed to know one thing from the future, would you take the chance to know? And what would you want to know? 3. Sims 2, Sims 3 or Sims 4? And why. 4. What are your goals for your current story, legacy, isbi? 5. Do you plan on starting another challenge or story after your current one is finished? 6. Do you like expressing to people about your stories? Or would you rather keep it personal? 7. What is something you love to do besides playing Sims? 8. Do you ever think you’ll change your writing style? You know, give yourself a challenge? 9. What is your favorite animal? Why? 11. And lastly, who is someone you admire? Okay! Now go nominate some more people! 😀 And even if you didn’t get nominated here and want to do this anyways, I nominate you too! I want to see what everyone has to say. 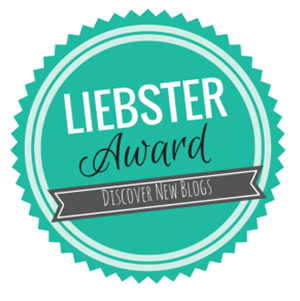 12 Responses to Liebster Award – woo! I totally can attest to the whole “they can’t hover over my shoulder” thing. You practically stare me down until I’m not looking. XD hehe. I love you! Well, I fell judged by eyes! Not by people, just their eyes! XD I love you too foof head. P.S. Nominated you again for Insanity Doesn’t Compare. Aw, hun, I’m glad that I could do that for you! I really think you deserve so much love! *huggles you* 🙂 And thanks!! If I know they're not paying attention to me, then I can do it just fine. But once they come over or look at what I'm doing, I pull it away and I'm like "Nu! *angry face*" I always feel like I'll write something dumb… Hehe! XD *The precious must be written before I can leave. THE PRECIOUS." Thank you so much for thinking of me! I’m really honoured! What a wonderful surprise. I’ll be sure to do this! It is such a wonderful idea.